StereoMan stocks first quality used stereo components fully tested and guaranteed in perfect working order. If you are seeking a powerful, versatile receiver, or a first quality CD changer, he will likely have one on hand. 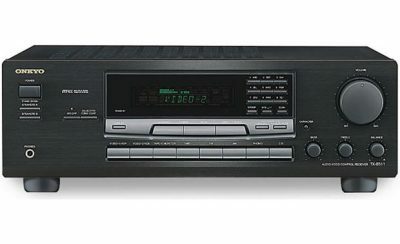 StereoMan sells the Onkyo TX-8511 pictured here for $125, a Denon DCM-370 CD changer is $100. StereoMan can usually find any other item you might want for a very reasonable fee. If you are browsing what else is available locally, StereoMan can steer you to the right places!